This past year at work I’ve been involved in a project called TCBL, a collaborative, EU funded project to increase sustainability in the textile and clothing industry. It’s one of a number of initiatives working in this direction, a more B2B than B2C one. But maybe you’ve heard of the Ellen Macarthur Foundation or the campaign “who made my clothes”? The driving content is basically the same. We’re living in a world covered in an unimaginable heap of stuff, stuff that won’t disintegrate for centuries, stuff we probably don’t need. I was shocked to read that many teenagers, thanks to Instagram, don’t wear the same outfit more than once (some say max 3 photo posts per item of clothing). The various foundations involved in the sustainable fashion or circular economy worlds work on the dual biases of communicating facts about the impact of overproduction and helping businesses evolve to become more eco-friendly or ethical (TCBL works mostly in this direction). After what I’ve learned, I’ve felt moved to change my spending habits towards a greater consciousness of materials, manufacture and sustainability. I am not going to become “no global” (don’t take away my iPhone or my BMW) and not every single item I buy is going to fit into this scheme, but at least I’m thinking about my choices. So the same will apply to my choice of gifts this holiday season. I’m hoping to support local, Italian businesses and artisans, and choose meaningful, useful items that my friends and family will enjoy for years. So here’s my take on a sustainable Christmas gift guide, Italian style. 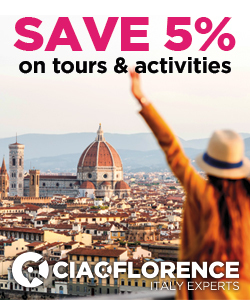 I start with a list of guidelines, and then below provide a few specific ideas for sustainable gifts you can buy in Florence or order online. Here are some of the things I’m thinking about when choosing gifts (and anything, actually) these days. Some might say a gift should bring pleasure and not be useful or necessary. But I’m a fan of useful gifts, or at least items that won’t just sit there on a shelf. Within a couple or family, the holidays are the perfect time to get each other things you’ve been hoping to buy (like, we need a new TV since ours just broke). My logic here is that something might not be locally made or recyclable but if you will use it for 10 years, that counts as sustainable. 2/ Where is it made? I’m trying to support local production as much as I can. I figure the Italian economy could use our help, but I’m ok with calling the EU my backyard too. Unfortunately, not everything that is made in Italy is made of good materials, well manufactured or indeed ethically so – this remains to be checked. But at least it didn’t travel far to get to me. If I were in the USA, I’d try to buy American. 3/ What is it made of? 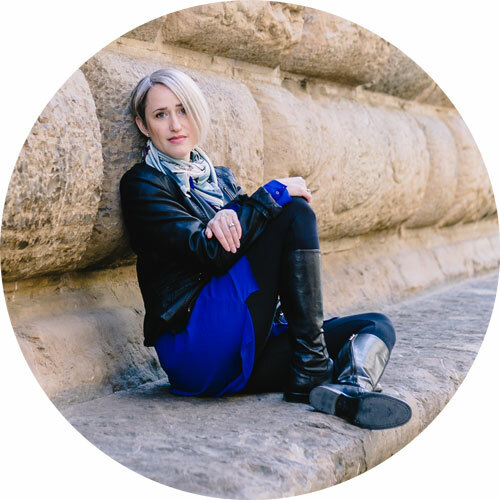 Personally, I have trouble wearing non natural fibres like polyester and acrylic, so when it comes to choosing clothing, I’ve always preferred natural fibres. Apparently some of those take a lot of water to produce (like cotton) and others may harm animals (like silk, which kills the silk worms!). I will stick to these fabrics as well as cashmere and wool (at least they’re all biodegradable and I tend to keep my clothes forever), but I’ve recently learned about tencel, a very soft material made of wood cellulose, so I’m keeping an eye out for that. Apparently it’s divine in pajamas. Things from small producers sometimes cost more, but that’s because making anything in small lots is unfortunately expensive. But maybe the holidays is a good time to splurge and pick something special that you might buy from an artisan or an emerging designer, where you can have contact with the person who made it. In that way you can be sure that it wasn’t made by underpaid people in unsafe working conditions. 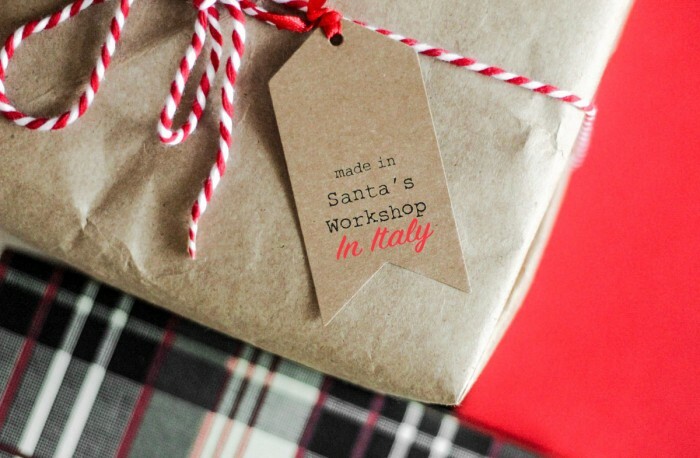 Italy has a long tradition of artisans and there are plenty of stores and workshops around from where to pick that perfect gift. Related to the “is it useful” question, maybe this is the year to reduce the number of gifts we give. Skip plastic stocking stuffers and just give each other one big gift. My mother keeps pointing out how things are made so shoddily now compared to in the past. Vintage clothing may be a bit hard to buy as a gift for someone, but collectible silk scarves and accessories are a great pick, and will just increase in value. 7/ Get something thoughtfully virtual. Better than a gift card, there may be a great virtual gift for that hard-to-satisfy great aunt! From naming a star to supporting a charity, there are plenty of options online. 8/ Get an experience to share. My husband and I almost always celebrate our wedding anniversary with a trip instead of gifts. Be it for your loved one or anyone else on your list, you could get tickets to a concert to attend together, a girls’ spa day, a cooking class, a crafting workshop… Time together is a great gift! Because who doesn’t need more food?! Traditional wrapping paper is apparently not recyclable, though you haven’t seen my dad: we’ve been using the same paper and gift bags for at least a decade, he does a great job of folding it and stashing it for the following year. But no, you can’t put it in the big garbage labeled “paper” after the kids rip it to shreds. Brown packing paper (which you can decorate!) and tissue paper could be a solution. Or, why not use some of the three million cloth bags you surely have hanging on a door in your house? Raffia or re-usable satin ribbons can be used to dress up the package. 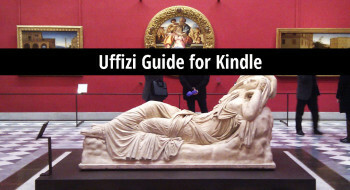 Here’s a few ideas to get you started on your Italian holiday gift list. I’m not sure that we can save Bialetti by buying their iconic moka coffee maker, but this Italian company founded in 1933 recently announced “a plan to address [their] 68 million euros in debt” (source). Competition from coffee pod machines is part of the problem. Another issue may be that these brilliantly designed machines produce good coffee for decades. Once you have one, you generally don’t need another. They are built to last. And they don’t produce waste (the loose coffee grinds in fact are great for composting). 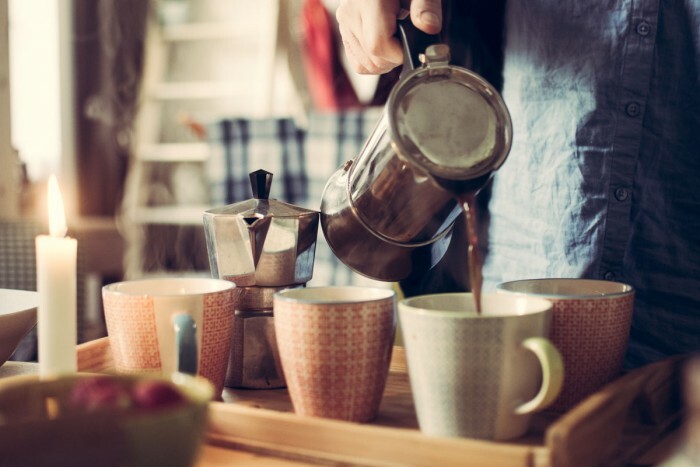 This is one Italian gift you can find outside of Italy: you can pick up a Bialetti on Amazon – and learn how to make a perfect coffee with it in this article. A lot of winemakers in Italy now have the ability to buy online and even smaller ones can help you with orders by email. So how about looking up that winery you visited on a trip to Tuscany and ordering a case of wine for your cellar? 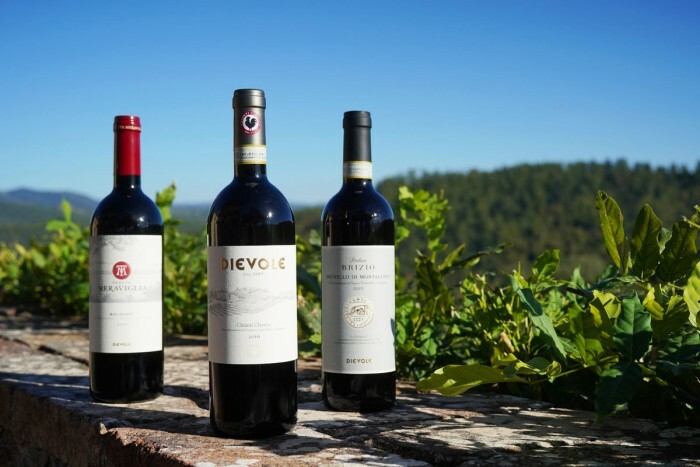 Personally I suggest joining Dievole’s wine club and ordering an assortment of wines from the best Tuscan wine producing zones that this brand represents (Chianti Classico, Brunello di Montalcino and Bolgheri). They also have amazing olive oil, including a tasting box that is a super gift. While EVOO should be consumed within the year, the wine you order could be opened now but make sure to save half of the bottles, properly stored, for at least five years. One year I bought everyone I knew a tree from Treedom. 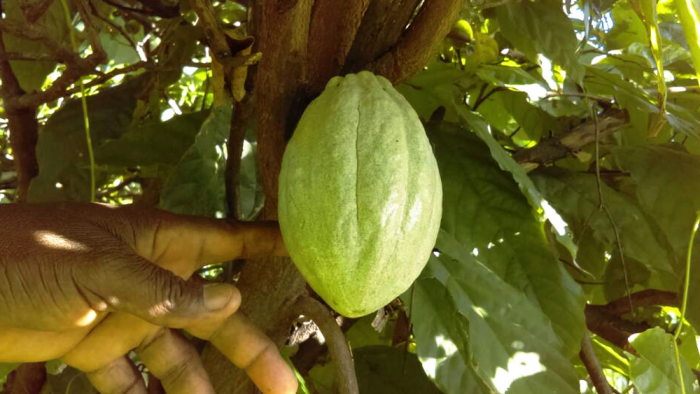 Now my husband can track the growth of the Theobroma Cocoa tree that was planted for him in Cameroon. Treedom is an Italian company that finances small agroforestry projects in 10 developing countries. The philosophy is to create sustainable ecosystems and allow thousands of farmers to support the initial costs of planting new trees, ensuring food autonomy and income opportunities over time. Trees make good single gifts as well as thoughtful corporate gifts, and they issue carbon offset credits too! I recently chose a vintage sideboard from the 1960s to replace an ugly, very standard Italian family type 15 year old bookshelf and tv stand in my living room. Other than the vintage style, I love how the woodwork is so precise! It’s got a bar built in and I can just imagine some tiny-waisted wife serving scotch in a heavy tumbler to a tired ad exec husband at 6pm before dinner out of our new buffet. 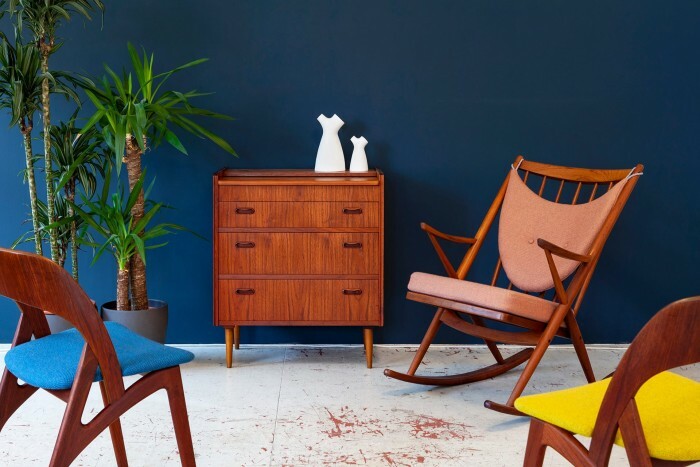 Consider furniture or home accessories with a fantastic past: browse a website like Pamono or, in Italy, go to a local “rigattiere” (second-hand shop) or antique store. 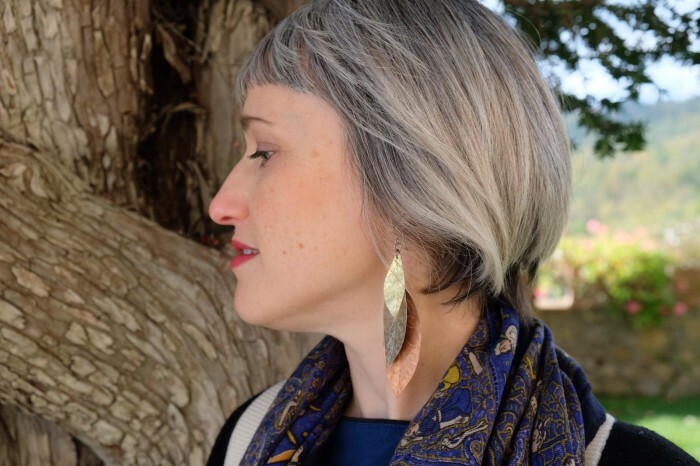 I am absolutely loving a pair of earrings I recently got from SLB Jewellery, a husband-and-wife team independent brand based near Matera, who makes minimalist jewelry using “poor” materials like copper, often reused. They even use funky vegan packaging that is reusable and recyclable. What’s great about artisans like Salvatore and Roberta is that they have chosen to live in the land they love, in Basilicata, but they’re able to pursue a value-based business thanks to Etsy, the online platform where they have made hundreds of sales. 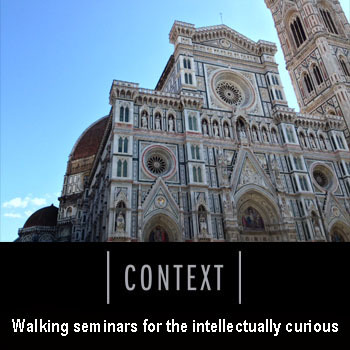 For the Italy lover on your list, book a private walking seminar in Venice, Rome, Florence or Naples with Context Travel – pick up a Context gift card and get ready to learn about things like Caravaggio in Naples or Michelangelo in Florence. My mom gave me a handwritten recipe book one year in which she wrote a bunch of family favourites (who knows why these are mostly cookies?! ), and she adds new things to it when we discover them. It’s something I really treasure. A nice idea could be to give a friend a favourite recipe as well as the (Italian!) ingredients to make it, or a cooked/baked one in a nice container. If you can’t give them the food or finished dish, how about a handpainted recipe calendar? 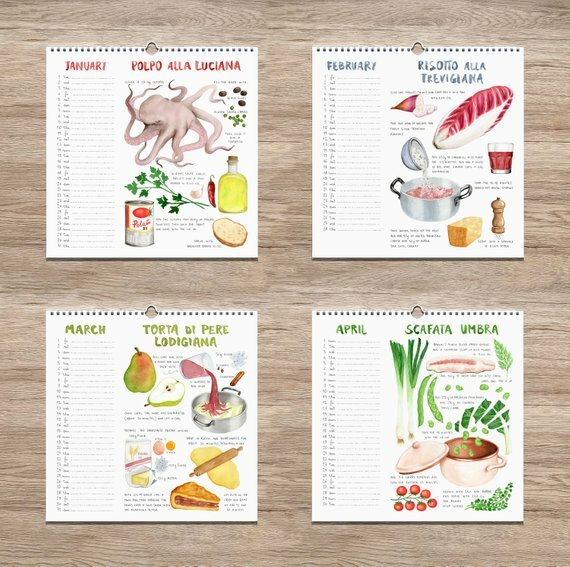 I found out about Ricette Disegnate from my friend Giulia @julskitchen – take a look at her 2019 calendar of Italian dishes. Here in Florence there are various options for farm delivery vegetable boxes (I list them here). Why not treat someone to a weekly vegetable surprise? Etsy. 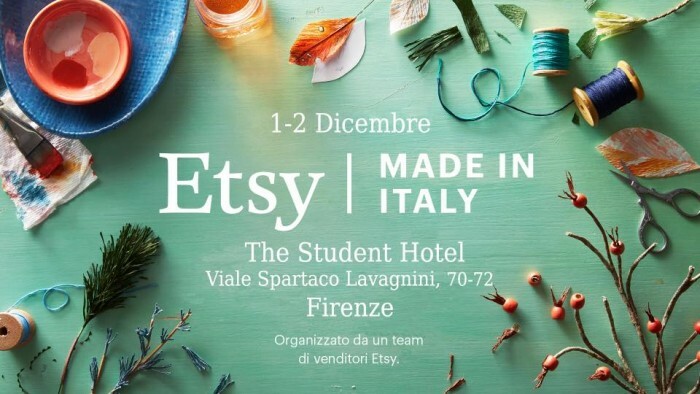 For the second year in a row, the volunteers at Etsy Made in Italy Firenze is organizing a local Christmas market, which will be held December 1-2, 2018, at The Student Hotel (viale Lavagnini in front of the Fortezza da Basso). 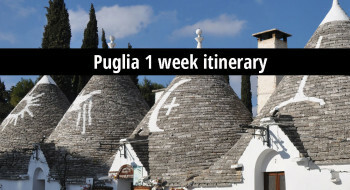 These events are being held around Italy in numerous cities like Rome, Milan, Brescia and even Riccione. The event also includes fun workshops where you can learn a skill and make a gift! Here’s the Facebook event with the full list of participating vendors – if you can’t make it to the event, the fun thing is that you can go explore their Etsy pages and pick gifts there! 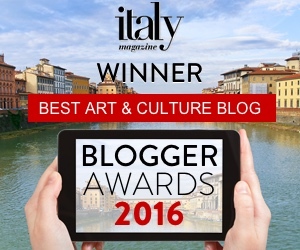 Creative People in Florence is an association of artisans that also includes photographers, fashion designers and visual artists. Take a look at their member list to track down artisans you are interested in visiting. 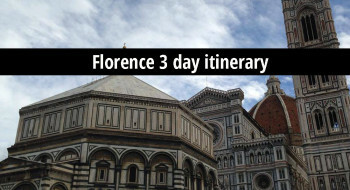 The inclusion of photographers made me think: a great gift could be a photo shoot in Florence! I treasure some shots that my husband and I had done together by a professional, and you’d be surprised that it doesn’t cost so much. ALAB Palermo. Skipping down to the bottom of the boot, I was recently in Palermo for work (for TCBL, in fact) and had the pleasure of getting to know an association of artisans there called ALAB. They’ve revitalized a whole part of the historical center with little stores and workshops. Most interesting is their common form of payment: items are priced with codes that are associated with economic values, but are thought of as contributions towards supporting this artisan community. The association handles all payments, making it easier for these artisans to run the business. Of course, if you’re not in Palermo you can browse the list of artisans and some have websites of their own from which to order. 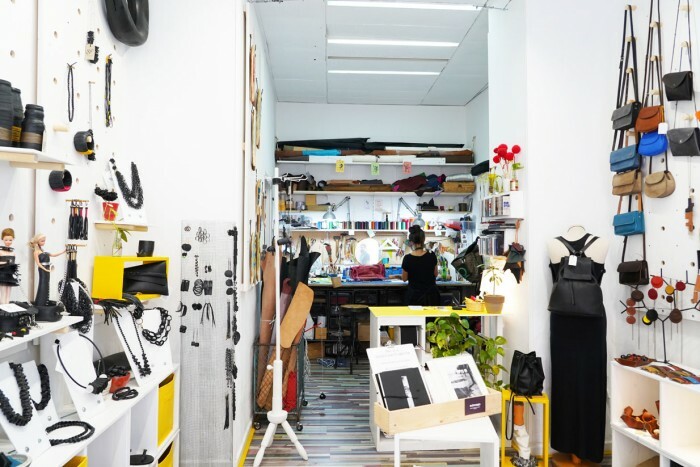 The inside of Ciatu, a lab/store in Palermo (piazza Aragona) that sells accessories from recycled tires as well as leather and more. Disclaimer. This article contains referral links to Amazon and Context Travel, from which I get a small percentage on purchase.